Audit studies reveal frequent non-compliance with dosing and monitoring guidelines for vancomycin. 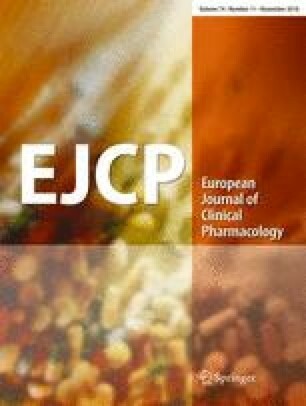 This study aimed to qualitatively explore the barriers and facilitators of compliance with vancomycin dosing and monitoring guidelines. Interviews were conducted with 16 prescribers in a large tertiary teaching hospital in Sydney, Australia. Questions explored knowledge, attitudes, and perceived complexities associated with vancomycin use. Interviews were analysed using thematic analysis. Prescribers reported utilising vancomycin guidelines, citing familiarity with guidelines, a positive perception of guidelines, awareness of poor guideline compliance, and assistance from specialist staff as facilitators of the uptake of guideline recommendations. Barriers existing within the prescribing environment such as the prescribing culture, a lack of time, and poor communication and coordination of therapeutic drug monitoring processes were identified as hindrances to guideline compliance. The provision of guidelines may not be sufficient in ensuring appropriate prescribing and monitoring of vancomycin when barriers relating to the prescribing environment exist. Developing interventions targeted toward these barriers, such as having dedicated phlebotomists for vancomycin blood sampling, fostering better handover processes, and educating staff on poorly understood aspects of guidelines, is likely to improve the uptake of guideline recommendations for vancomycin and other medications requiring therapeutic drug monitoring. The online version of this article ( https://doi.org/10.1007/s00228-018-2525-2) contains supplementary material, which is available to authorized users. We wish to acknowledge the participation and contribution of all the doctors interviewed in this study. In addition, we would like to thank Dr. Emma Tay for her help in participant recruitment. JOC helped acquire, analyse, and interpret the data and drafted the article. MTB and ROD conceived and designed the study, helped analyse and interpret the data, and revised the article for publication. JEC, IS, and MM helped interpret the data and revised the article for publication. All authors had full access to all of the data and can take responsibility for the integrity of the data and the accuracy of the data analysis and had final approval of the version to be published. This study was funded by the National Health and Medical Research Council Program (grant number 1054146).